Weather has been amazing and so is the fishing, after this weekend we are beginning to slow down so we will have space available on short notice. 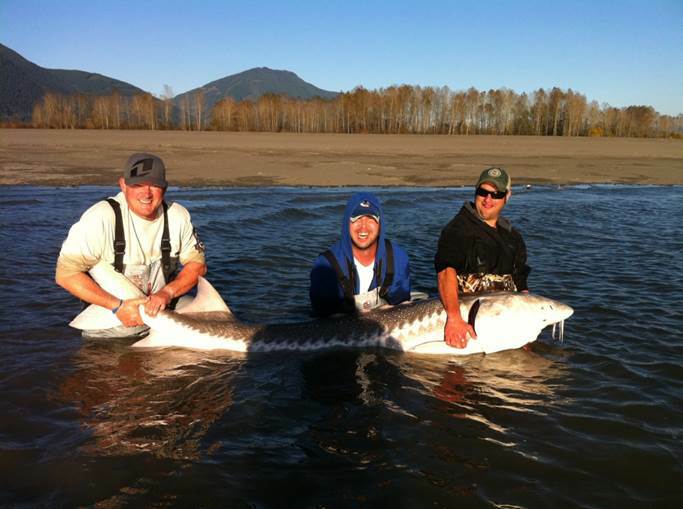 There is still lots of great fishing for both salmon and sturgeon and weather is supposed to be nice for another week. If you would like to get out with one of our top guides, give me a call and we will do our best to get you into that trophy fish. Brady Misner and buddies landed this 8ft 4 fish at the end of the day today, they still got 2 more days to stretch those arms. Previous PostOct 27 Fishing Report UpdateNext PostNov 7 Fishing Update.